Edith Shackleton is now $1 million richer, and she didn't spend a cent for her good fortune. 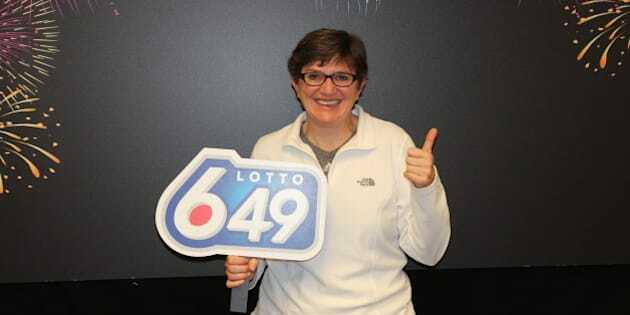 Shackleton won a free LOTTO 6/49 tickets after matching two main numbers on a previous draw. She picked up her lucky ticket for the Dec. 31 draw at the Mayland Rexall in Calgary's northeast. A few days after the New Year's Eve draw, she checked her ticket. In shock, she headed to the store to confirm her winnings. “After the clerk scanned it, the manager came over and called WCLC for me,” she remembered. “The operator asked if the ticket was in one piece – I said, ‘Yes, but there might be a teardrop on it,’” she laughed. “In that first day, we went through so many plans and emotions,” she said. In addition to an early retirement, Shackleton says she will use the money for home renovations and travel. Unbelievably, Shackleton is the second LOTTO 6/49 free play $1 million winner in less than a week. Della and Dave Koch, of Manning, Alta., also claimed a big jackpot after winning a free ticket on the Dec. 24 draw.